This Quick Start sets up a flexible, scalable AWS Cloud environment, and launches HashiCorp Vault automatically into a configuration of your choice. Vault centrally secures, stores, and tightly controls access to secrets across distributed infrastructure and applications. It handles leasing, key revocation, key rolling, and auditing. 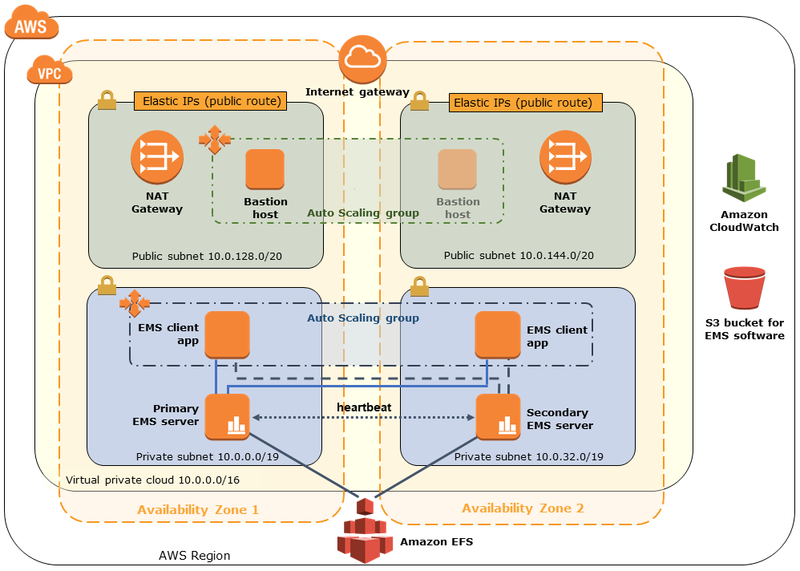 Users can access an encrypted key/value store and generate AWS IAM and AWS STS credentials. The Quick Start includes AWS CloudFormation templates that automate the deployment, and a guide that provides step-by-step instructions to help you get the most out of your HashiCorp Vault implementation on the AWS Cloud. In the private subnets, a HashiCorp Consul environment, as described in the HashiCorp Consul Quick Start deployment guide. Vault uses Consul DNS to discover and integrate with Consul. In the private subnets, two Vault server nodes. 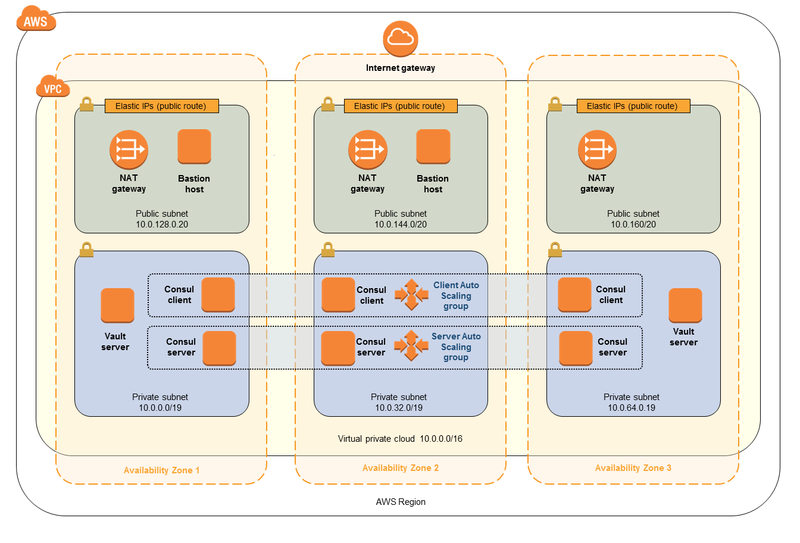 * Your choice to create a new VPC or deploy into your existing VPC on AWS. The template that deploys the Quick Start into an existing VPC skips the components marked by asterisks above. Access Consul by using an SSH agent. Integrate Vault with your environment and create your first secret. To customize your deployment, you can choose different instance types for your resources, and change the number of Consul client and server nodes. The AWS CloudFormation template for this Quick Start includes configuration parameters that you can customize. Some of these settings, such as instance type, will affect the cost of deployment. See the pricing pages for each AWS service you will be using for cost estimates. This Quick Start uses the open-source version of HashiCorp Vault, which doesn’t require a license.